Home / Retail / 10 years of the iPhone: Where it started and what is next? 10 years of the iPhone: Where it started and what is next? For a phone manufacturer to be at the top of the market for a decade is a remarkable feat. Nokia did it in the late 90s and early 00s, but the reign of the 3310 comes nowhere near the achievements of Apple and its iPhone. A decade ago today, the first iPhone hit the shelves of US stores. It lacked 3G connectivity, its battery barely made it through the day and its camera was significantly lower than many of its competitors. Add in the fact that it cost a staggering $499 and who would have thought that the iPhone would be leading the market 10 years on? While the spec was unspectacular, the iPhone transformed the way phones look and are used. The iPhone 7 of today and the iPhone 8 of later this year, look remarkably similar (albeit slimmer) than the original incarnation of the smartphone. From day one, the device had a full-colour, multi-touch screen which came to define the smartphone, and it had the same basic interface still in use today, from pinch-to-zoom to inertial scrolling on lists. It looked like nothing else, and sold a million units in just over two months. With each regeneration of the device, features came and went. The initially 4GB model was scrapped altogether early doors, with Apple concentrating on phones with greater storage. The price tag also came rocketing down, with Steve Jobs himself offering a personal apology and handing back money to those who forked out a fortune for the first batch. 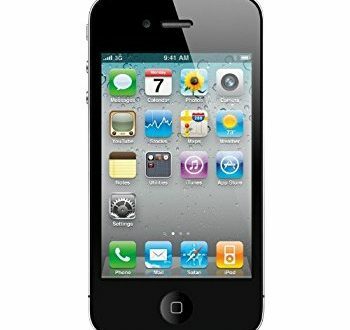 A year after launch, the iPhone OS2 was released and the App Store was born. Just nine years later and Apple’s main ad campaign slogan is ‘imagine a world without apps’. It is easy to see how far the iPhone has come, since the initial 15 built-in app devices were brought to market. Since then, features that we take for granted have been added, such as copy and paste, greater camera specs and the introduction of Siri have taken the iPhone to new levels with each device. The world awaits what this autumn’s iPhone launch will bring. And while Apple has officially been keeping quiet on the subject, the rumour mill has been spinning faster than ever in anticipation of the 10th anniversary iPhone. 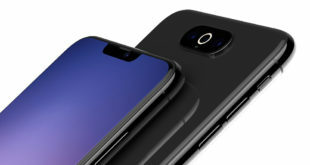 Most of the speculation has focussed on how it could potentially be the first mainstream smartphone to surpass $1,000 or how the release schedule has apparently been set back due to supply shortages. The name has also been up for grabs with the iPhone 8, iPhone X and iPhone Generation all being mooted as possible titles for the device. Alleged images were leaked on Twitter a couple months back, and show two speaker grilles, a Lightning port on the bottom, a power button on the right and the volume buttons on the left. Mooted dimensions of 143.5 x 70.9 x 7.7mm, slightly bigger in all respects than the 138.3 x 67.1 x 7.1mm iPhone 7, and marginally smaller (but still thicker) than the iPhone 7 Plus. What you’ll get for the trade-off though is a larger display than either phone, with a 5.8-inch display. The larger display will apparently be achieved by removing the home button and having an all-screen front akin to Samsung’s recently released Galaxy S8. But these are all rumours. 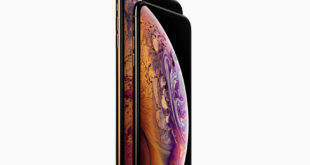 What is for certain, is that whatever it is called and whatever it looks like, people will always want to get their hands on the new iPhone.